This year, We exhibited at Web Summit's BETA stage. It was a great honour to be part of the largest technology marketplace in Europe. Just like the year before, We were amazed by the overwhelming atmosphere of the largest tech conference in the world. We found that Websummit is still an exhibition with a huge emphasis on discussion and listening to speakers. It was exciting and exhausting at the same time to get in touch with more than 70,000 attendees. We believe that web summit can be a tool of business development. Presentations and speeches were inspirational and the 68% senior manager from more than 170 countries gave us a great chance to find the right business partners. In 2017, we talked to more than 250 companies and we also attended Mentor Hours. During the first 3 days, we visited others booth and on the last day we welcomed the attendees, who gave us important feedback on our work. 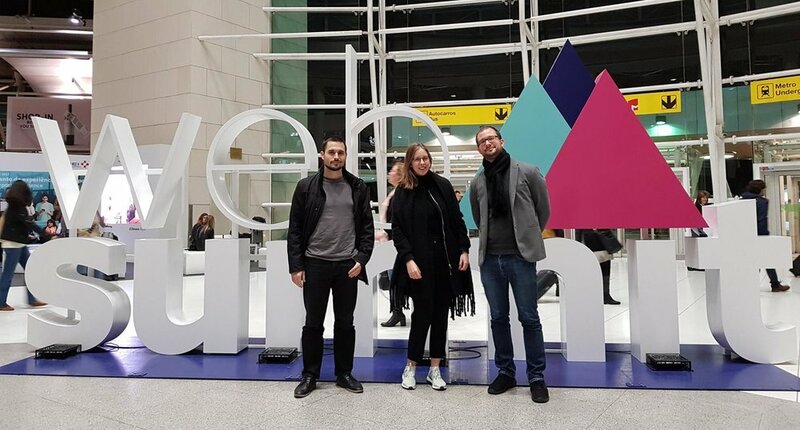 Being in Websummit for the second time, we had some similar new experiences as well. BETA stage gave us bigger place to present ourselves and to be a more serious part of the event. We came home with a lot of inspiration, contacts and hope for long-term business partnership.